Here at Compassionate Care, we groom with compassion, care and great skill. We strive to make the grooming experience enjoyable for both you and your pet. It’s our goal to provide your pet with a style and look that you will be proud to show off! As an added benefit, we can provide medical care for your pet on the same day as their grooming appointment, whether it is a routine checkup and shots, or if we detect a medical condition while grooming or bathing. Our grooming hours are weekdays, 8:00 am through 5:00 pm. To ensure everyone’s safety and hygiene in the grooming parlor, we require proof of your pet’s vaccine history prior to admission. Dogs are required to have their rabies, distemper and bordetella (kennel cough) vaccines, while cats must have distemper and rabies vaccinations. Our groomers are skilled in all specialty cuts, and would be happy to discuss your pet’s groom should you have any requests or questions. At Compassionate Care, we provide the utmost care for your pet while they are boarding, ensuring your peace of mind. We provide cutting edge medicine and care for your pets during their stay at our facilities. Our facilities have central heat and air conditioning. To promote a healthy environment, all animals must be up to date on their vaccinations. Dogs are required to have their distemper, rabies, and bordetella (kennel cough) vaccinations, while cats need their distemper and rabies vaccines. You’ll need to bring proof of vaccinations and a working phone number so we can reach you. We offer special services for your pet while they are here, such as time in our play yard, administering their medication, and bathing and grooming. You may request these services as you drop off your pet. All animals are fed Science Diet unless you choose to bring your own food. 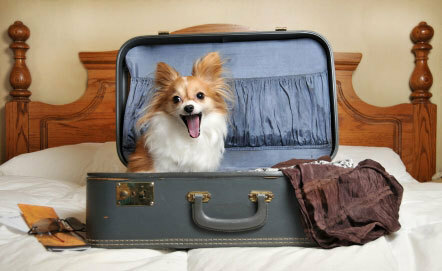 We encourage you to schedule your pet’s stay ahead of time, as we fill up fast! If you have any questions or want more information, please contact us at 830-997-7643 and we will be happy to assist you.